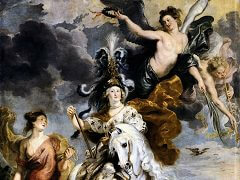 On 12 November 1619 a contract was drawn up between Johannes del Rio, dean of the Onze-Lieve Vrouwekerk in Antwerp, and Peter Paul Rubens. 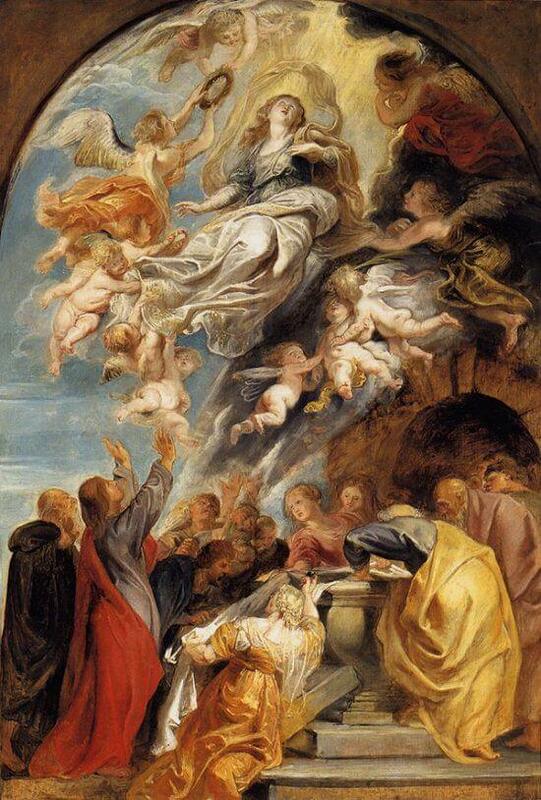 The painter undertook to paint 'a panel depicting the story of the Assumption of Our Lady' for a fee of 1500 guilders. 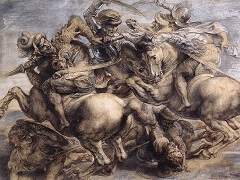 He received the first 1000 guilders in September 1626, and the remaining 500 guilders followed in March 1627. 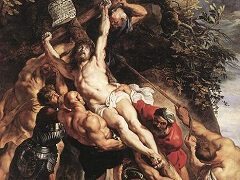 The reason for the long delay between the conclusion of the contract and the execution of the commission was that the altar where the painting was to be placed was not completed until 1626. The dimensions involved were gigantic: the altar is 14 metres high and more than 7 metres wide. 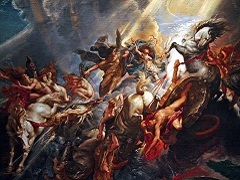 Rubens's altarpiece measures 4,9 by 3,25 metres. 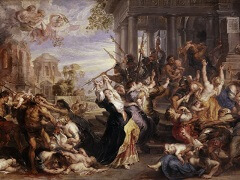 As a first step towards the making of this monumental composition, Rubens painted the 'modello' discussed here, which may be dated on stylistic grounds in the early 1620s. This preliminary study was intended to give the client an idea of what the composition would look like, so that he could comment on it at an early stage. 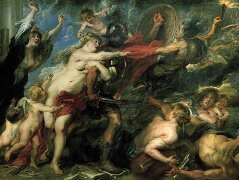 Preliminary studies of this kind by Rubens are best characterised as ideas expressed in paint. The rapid execution this implies is also clearly visible in the technique: the paint has been applied off the cuff in rapid movements of the brush. The upward movements give the image a highly dynamic quality. 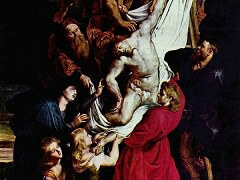 Although Rubens often enlisted assistants to help him with major commissions, it is clear from the high quality of this 'modello' and the altarpiece in the OnzeLieve-Vrouwekerk that he executed this important commission all by himself.